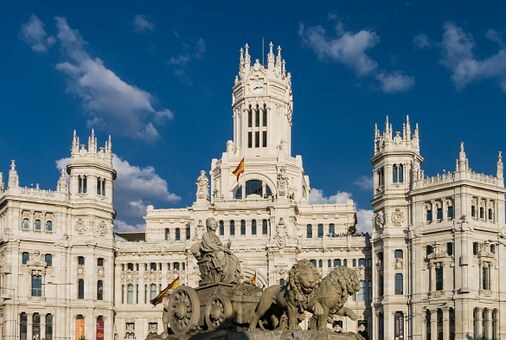 This program strives to immerse you in the culture of the Madrileños through its academic options, extracurricular activities with university students, and housing choices. In addition to a required Spanish course, you have the option to take a wide variety of IES Abroad-taught courses, as well as local university courses. You can also take a prep course for the Diploma de español como lengua extranjera (DELE), leading to a certificate. This award will be an asset to your résumé and can be earned at no extra cost. Several field trips take you beyond the city limits to sites of historic and contemporary interest. You can also add international work experience to your résumé while earning credit by participating in an internship placement and accompanying academic seminar. Homestays - Live in Spanish homes with señoras or families. You have breakfast and one additional meal daily with your hosts. In many cases, two IES Abroad students are placed with a señora or family. Homestays with Kitchen Privileges - If you prefer to purchase your own food and prepare your own meals, you may wish to consider this housing option. If you choose this option, you receive a meal credit. A very limited number of these placements are available. Apartments - Share an apartment located in a residential area near the IES Abroad Madrid Center. Apartments are fully furnished, including a fully-equipped kitchen. Utilities and regular cleaning are included, as well as the support of a Spanish apartment guide. Space is limited and meals are not included. A passport that is valid for at least six months beyond the end date of the program, with at least two blank pages is required.